Rummy is said to have originated in China owing to the fact that the native people loved playing a game known as Mahjong, whose playing style resembled that of rummy. Other theories about it being conceived in North America or Europe are also rampant. Regardless the reality, rummy holds immense sway on the global population. So, are you new to the world of card games in general and rummy in particular? Or are you simply yet to break onto the online rummy-playing scene? 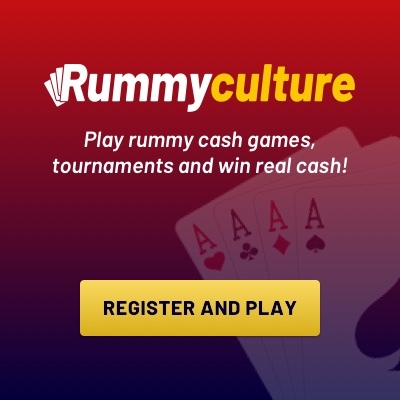 Whatever be the case, we at RummyCulture are here to ease you into it with a few effective, practical tips and tricks for rummy players, both novices and seasoned pros. Prepare to be amazed by the wonderful world of online rummy and understand the rules of playing rummy for an enjoyable experience. The objective of playing rummy is to meld cards into sets and sequences, including one pure sequence (without a joker). While a set is a combination of three or more cards of the same rank but different suits, a sequence is a grouping of three or more cards of the same suit. It would be wise to focus on the moves of other players, observing what they are picking up from the stockpile and doing away with to the discard pile. Additionally, do not let go of any card that might aid other players in winning the game. You may not pick up a card from the discard pile, see what it is and put it back in the same go. While playing rummy, even if you have formed a pure sequence, it is best to not reveal it right away and conceal it among your other cards instead. This will confuse the other players and may egg them on to make disadvantageous moves. It is best to recheck your sequences before declaring for a win. Get rid of all your high-value cards as soon as possible. This way, if another player declares before you do, he will get fewer points on account of your cards’ total value. A Joker card can be used to form an impure sequence while playing rummy. It is, therefore, best to do away with any cards close to the Joker in the same sequence. Do not retain cards for too long, hoping to form a sequence with them. If you want to abandon play, do so at an earlier time in the game to avoid big losses. While playing rummy, middle-value cards can come to your rescue when you least expect it. They are sometimes even better than high-value cards for melding into winning combinations. Best-in-class anti-fraud system for a safe, secure experience. Practice and cash tournaments that help you hone your skills. Anytime money withdrawal all year round. Note that the Supreme Court of India has declared playing rummy to be completely legal and a matter of skill. Playing rummy online will change your life. So, come live the dream with RummyCulture online now!